WAY BACK DURING THE TIME OF BOHOLANO NBI Director Dodong Mendez, we editorialized that the National Bureau of Investigation is rightfully called The Police of Last Resort. 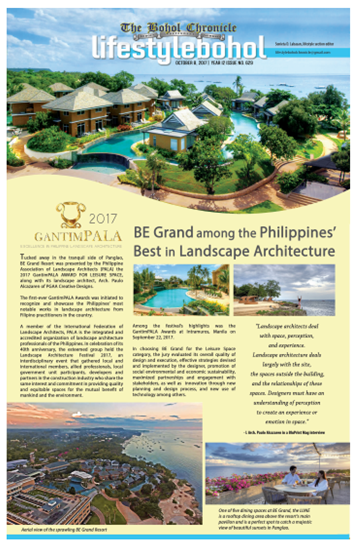 In 2015, the NBI swooped on a drug lair in Tawala, Panglao and three other dens in the city that confiscated some P 5.3 Million worth of illegal drugs. 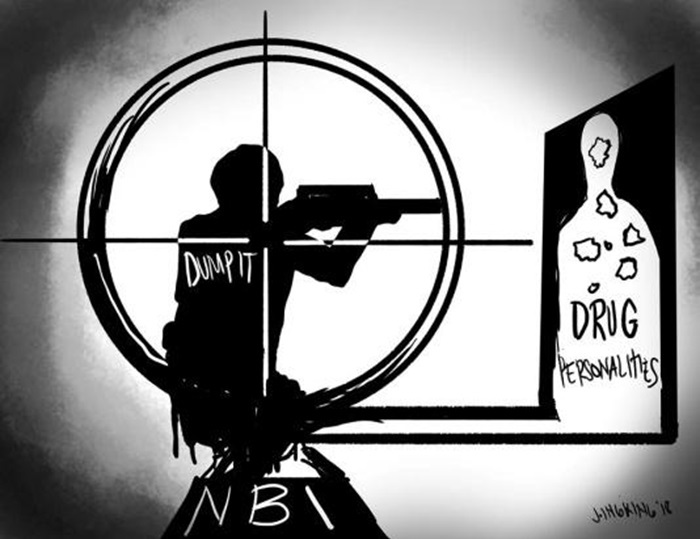 The NBI sharpened their legal eagles everywhere and produced convictions when other police operations were long in press releases and short of tangible results. Not all the time but many times. While the community was shocked with the killing of SPO1 Adonis Dumpit, a cop who was all this time known, acknowledged and advertised as a “top drug buster” in Cebu and re-assigned to Bohol- we were not shocked that the NBI was part of the team that did him in. The legend behind Dumpit’s name and his swashbuckling ways with the pistol were not lost on the operatives. They were ready for him to draw his firearm upon arrest and answered him with a fusillade of bullets when he started firing his gun. With Dumpit’s death- a legend had died. As Cebu City Mayor Tommy Osmena’s security aide in the early 2000’s, Dumpit was a watchdog against drugs. Even taxi drivers in Cebu City will confirm that whenever and wherever the name of Dumpit is mentioned, the bad elements, including drug personalities scampered for safety as they knew the cop will surely shoot them dead. A known sharpshooter. The local media men saw him fire his gun much like the way it is done in the movies of the late Fernando Poe and Lito Lapid as lead actors. Hitting the target even on rapid firing. Without defending his latest crime record, Osmena said he was “sorry to see Dumpit go. He was nice man-soft spoken and never raised his voice. He always looks down and does not even look you straight in the eye. Hardly did he ask for any favors”. Margot, the wife of Tommy said Dumpit was like part of the family- including and among their children and grandchildren. “He would have taken a bullet for any of us. We are so sad.” Margot remembered that at the height of the popularity of the “Hunter Team” of Dumpit made of elite sharpshooters against criminals, people would “ask to have a picture with Dumpit rather than Tommy himself”. And so on. But his skill and the legendary record did not work out well last fateful Wednesday morning when his firing at the NBI agents failed to hit any one of them. Empty shells from his pistol were recovered at the crime scene and 15 “bolto” of shabu with a market value of P1.1 million were seized from his big pockets in his SWAT-like pants. If the magnitude is true- that made Dumpit a major drug operator- maybe not a drug lord yet but was an important conduit who distributed drugs in his network of pushers. Not even a mere user of shabu would have that volume of drugs in his possession unless- he was pushing them to others. It is not unusual for the public to first think that Dumpit’s murder was planned by the NBI agents and that the shabu was planted. This is always the normal accusation from aggrieved parties of drug killings. Likewise, the cop’s live-in partner shed tears when interviewed saying “Adonis” was never involved in drugs and the incident was “a plain ambush of an innocent man.” This claim of Ms. Amores faded even before it could reverberate in the airlanes because many knew she was the live–in partner of an acknowledged “Tatay” in the drug trade in Tagbilaran. It was gathered that a few times Dumpit had allegedly tried to intervene in drug cases of some of his suspected runners- to lower their offenses against the law. Moreover, there is a report that this cop also reportedly threatened a city policeman doing his duty and even the latter’s car was reportedly strafed to intimidate him to lower the case against a drug personality arrested some time ago in Manga district this city. Verifiable by us is the story that a trusted aide of Dumpit called our police beat reporter threatening him not to testify in a drug case where the latter was there to represent the media. The guy was so closely identified with Dumpit that reports pointed to the same person to be one dropping shabu supply to their “selling station” a three-story apartelle in the city-owned also by a late businessman who was also identified in the drug trade. We have known that generally, the NBI work from the time of Mendez has always been ethical and above board and is a product of a tedious verification before they implement any arrest. Wehave to hear of an NBI operation in Bohol that has been tainted with doubts, up to this date. The NBI has been tracking the activities of Dumpit after that complaint of a cop on his being threatened. After Dumpit breathed his last, talks began to surface that indeed his presence instilled fear among the neighborhood in San Isidro as claimed by the residents. Even the barangay captain said that the folks heaved a sigh of relief upon learning of his bloody demise. The saga of Sharpshooter-Cop came to a dolorous end with the family unable to get any death benefits because, multi-decorated as he may have been, Dumpit ended his service dishonorably- fell by his fellow law enforcing authorities over his involvement in a trade that is detested to death by the president of this country. Meantime, citizens -to this day- remain incredulous why a deeply religious and heretofore peaceful province like Bohol has been ignominiously ranked as No 5 in the proliferation of drugs by the PDEA, itself. The expose of Dumpit’s involvement partly explains the reason why. But only partly- because he was just transferred here only last year (2017) after serving in Cebu. After serving many years (for a homicide case against a robber in 2004) in jail in Cebu and the Regional Penitentiary in Leyte- Dumpit was redeemed from prison by the personal bail money coming from Mayor Tommy in 2016 and he was even fetched by a private plane from Leyte to Cebu. And so his death still merits some questions that need to be answered. Was Dumpit’s assignment to Bohol engineered so he can serve the illegal trade in good stead? Or how was this Gentleman Cop corrupted to join the nefarious trade when he was about to retire in a blaze of glory in a year -what with his impeccable police record? And obviously, Dumpit was a just Major Distributor of big-time Drug Lords. Who are they?